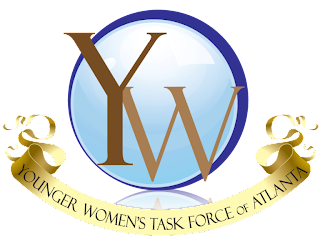 YWTF ATL supports Health Reform. Please listen to our radio show and learn how you can get involved and contact your legistrator! Chapter Director Terica Scott, along with her class in the Policy Institute with Georgia Stand Up, signed up over 200 supports at the AIDS WALK and is working to produce a video blog for You Tube! Stay tuned for more updates! Since April 2009, I have been working with a friend to develop Holla Back DC!, a blog that tracks and raises awareness about gender-based pubic sexual harassment (commonly known as street harassment) in the DC metro area. Chai and I started Holla Back DC! with the goal of providing a space for individuals to share their experiences and track these incidents in order to give a voice to the problem. Since starting the blog, we have had over 80,000 visitors, collected 150 personal experiences of public sexual harassment, and been featured in a number of news and blog articles. However, there is a lot more we can and want to be doing. Through our online dialogue, conducting a “talking tour” with activists in the area, and non-profits organizations across the nation, we want to take HBDC! to the next level. One of those ideas includes making DC a safer place for women and LGBTQ individuals by providing safe and free rides on the weekend nights through the support of RightRides and ZipCar. In order to do that, we need money and one way we can receive funding is through a contest conducted by Ideablob to win $10,000. We need your help in order to win the $10,000. Please take a minute to register with Ideablob and vote for us. Once you register and vote, please spread the word and urge others to do the same, even if you are not located in DC! We need all the support we can get from friends, family, co-workers, and strangers. Thank you for your vote and your continued support in fighting gender-based public sexual harassment!